This design is the third in a series called Parade of Pattern which features projects that explore common stitches in an uncommon way. 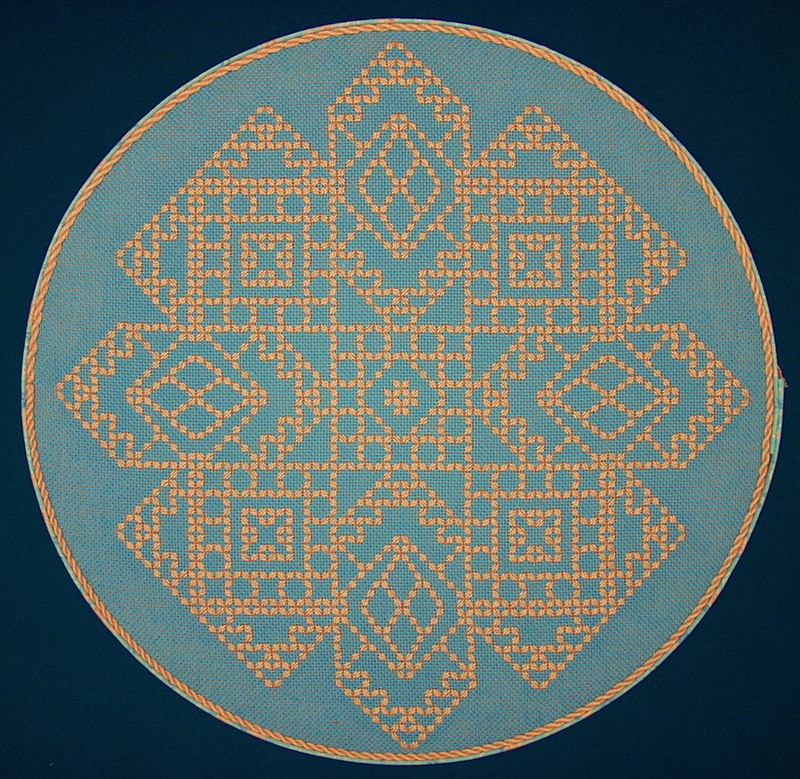 In this geometric arrangement, a variation of the Hungarian stitch called Flip-flop Diagonal Hungarian is used to create a main outline that forms a total design. The mirrored units resemble an undulating rickrack edge that is softer then a straight edge, and one section uses an offset placement to produce a diamond shape.